before you get on the bike! The "Maple City Wings are also known for their annual "Toy Run". 2018 WAS OUR 34TH YEAR FOR THIS EVENT! Over the years we have had a lot of fun with this and gathered hundreds of toys for charity. Toys last year went to The Marines Toys For Tots program. The great thing about our "open" run is that many motorcyclist groups throughout the state come to our event and donate toys for this great cause. It's a well known fact in the motorcyclist community, no matter what you ride we share a special place in our hearts for kids, and we love to put a smile of their faces at Christmas. May 20th was the date. Check back here for updates on our next event or join us at our monthly gathering! 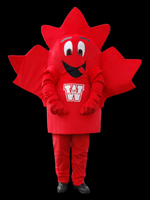 Welcome to the Maple City Wings website. drop us an email or stop by and join us for FUN. "Gold Wing Road Riders Association"
Join us on CLICK ME ! If you would like to join us for our Wednesday night dinner rides view the list below or check the calendar by clicking on these links THIS MONTH or NEXT MONTH. 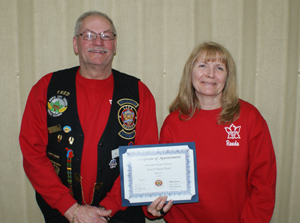 This local chapter of Friends for Fun, Safety & Knowledge goes to dinner every Wednesday night. You are invited to join us! 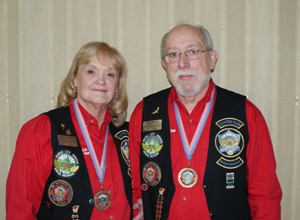 We know that after spending a little time with us you will join GWRRA and continue to participate with us. OTHERWISE SHOW UP AT 6PM - FAMILY KITCHEN PARKING LOT TO RIDE WITH THE GROUP! 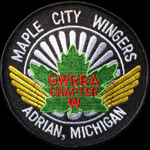 The Maple City Wings are located in Adrian, Michigan in the southeast area of the state. We're known for our signature "tie-dyed" Chapter shirts. We never get lost in a crowd. We are a very active group organizing group rides all over the country. So join us for a ride. We're sure you will have a great time. PRINT YOUR FREE MEDIC ALERT ID CARD TO CARRY WITH YOU AT ALL TIMES! Free Medical Identification go to http://medids.com/ Click Free ID Wallet Card in left column. Generate your free personalized emergency medical ID wallet card on your computer keyboard. Update as often as necessary. Premier source for adult and children's, unique, medical id alert jewelry. For the latest Chapter news click this link to our Newsletter !